I was sent an email by someone who follows me on Twitter, and she’d asked me to clarify my position as a fat acceptance advocate in relation to health and dieting. For most people, the idea of accepting one’s self in a fat body is foreign and goes against absolutely everything we’re taught. To be honest, I forget how shocking and radical the notion of self acceptance is, and I guess a lot of people consider a fat person who has accepted herself as a bit of a curiosity (and yes, that gets tiring). I responded to the email with a bit of a “Fat Acceptance 101” and thought it might be worthwhile to post here. As the email specifically asked about my position on fatness and health, this post largely focuses on that but there are a myriad of other issues concerned with how fat is treated and I recommend further reading. 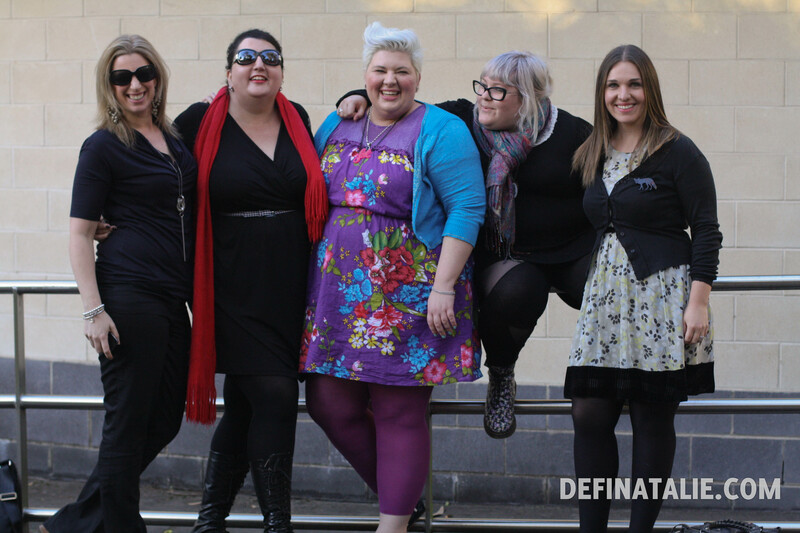 As a fat acceptance advocate, my position is that fat people should not be discriminated against or demonised. One of the main tenets within the movement is that dieting and the culture of encouraging disordered eating is harmful. Obviously, this is not a topic that can be reduced to a few short words and it’s unfair (and quite offensive) to dismiss the movement by assuming that it’s just about encouraging people to be fat – that’s just derailing the discussion. To begin with, one must understand that human beings have different body shapes, racial backgrounds, medical conditions, and socio-economic circumstances (amongst other things) and fat is not just a result of eating too much or exercising too little. I can’t stress that enough. There are ample buttloads (get it, get it!) of research to back up the fat acceptance movement, and I encourage you to read The Obesity Myth by Paul Campos and Health at Every Size by Linda Bacon, PhD – both books have exhaustive references. I encourage you to fully research and find references for any thing you read or hear in the news, it’s the only way to get a full understanding of the actual research being done. Many pro-gastric banding/ bypass news stories come from studies that have been funded by companies that manufacture weight loss surgery products, yet the mainstream media fails to disclose these things. The reason why I am so vocal about the issue of body acceptance is because too often fat bodies are pathologised, that is – they are viewed as abnormal and diseased, even when they are not. This is especially concerning when doctors, and indeed the wider health industry, do not treat fat patients’ symptoms seriously or even worse – dismiss the patient’s concerns and deny treatment until the patient loses weight. Even if the patient’s symptoms are not related to weight. This is wrong and unethical and does nothing to aid the patient’s health, in fact it works against good health! So many fat people refuse to seek medical treatment because they can not find a doctor who treats their complaints seriously. The fat acceptance movement seeks to address this upsetting and disturbingly common occurrence. I am in support of bodies of all shapes and sizes being as healthy as possible (because we all can’t reach one specific type of health, that’s unrealistic and ableist) but ultimately health is personal and not the business of anyone but ourselves! Moreover I am very passionate about removing the stigma of fat. This stigma hurts fat people (I would say it hurts thin people too!) and poses a far greater health risk than body weight. It is assumed automatically that thin = healthy, and I bet when you actually think about that assumption… it starts to unravel. Do you know thin people who don’t exercise and eat poorly? I do. But those people are not told by their doctors that they need to lose weight, because they might not have any visible markers of fatness (read: poor health). And that’s how fat is pathologised and that’s why this kind of assumption works against everyone, because even thin people aren’t getting the health care they need when their health workers are relying on fat as a measure of health. The truth is, healthful and not-so-healthful behaviours are performed by EVERY sort of body. Our health care workers shouldn’t be so lazy as to assume the not-so-healthful behaviours are the domain of fatties only. When it comes to health, I encourage people to question the messages they are receiving, especially when those messages are generalised and vastly different to actual health care research. Health is personal and there is no one direct path to good health, because we all have a vast array of highly individual factors. No person should be shamed into being “healthy” (read: thin), but unfortunately it seems that this is the accepted defense against obesity (BOOGA BOOGA) in this day and age. 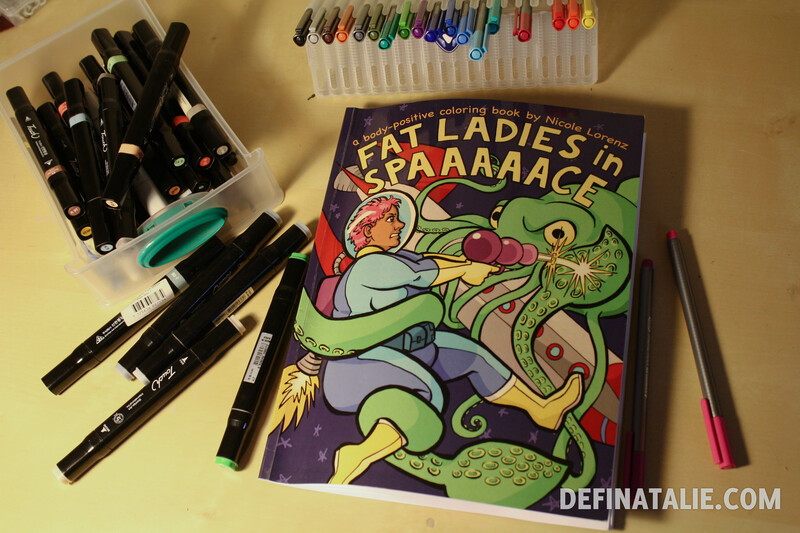 Fat acceptance is a dense and fascinating subject and an important social justice issue that many dismiss because addressing one’s own assumptions about fatness is very challenging. Understandably too when we’re told over and over, every day, that our bodies aren’t good enough unless they are thin. Fat acceptance is not about encouraging everyone to be fat. 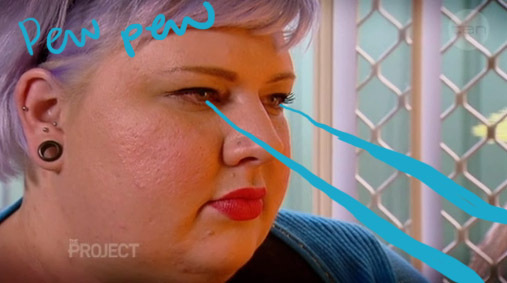 Fat acceptance recognises that people have different body shapes and fat people are vastly underprivileged and grossly pathologised when it comes to: health (including mental health), representation and visibility (not just in the media, in every day life! ), clothing, and public spaces. The Project: We were fat on it.